Plans to build 300,000 homes a year and a £2.8bn-a-year expansion of childcare will be at the heart of the Liberal Democrat manifesto at next May’s general election. Nick Clegg will today unveil an 80-page pre-manifesto document including 300 policies. Housing and childcare would be top priorities for his party in negotiations with the Conservatives or Labour if there is another hung parliament. The Lib Dem plan would trump Labour’s pledge to build 200,000 homes a year by 2020 and make housing a key election issue. Mr Clegg’s party wants to set up a Housing Investment Bank to streamline public funding and attract private investment, and to set up a ministerial task force to ensure the target is set. The housing policy will be proposed by Tim Farron, the Lib Dem president, and Vince Cable, the Business Secretary, when the draft manifesto is put to the Lib Dems’ annual conference in Glasgow next month. Mr Morgan also..urged reform of the country’s greenbelt – the rings of countryside containing urban areas. “That doesn’t mean riding a coach and horses through greenbelt policy, it just means having a sensible look at boundaries that were drawn up 60 years ago and are hopelessly out of date,” he said. He added that “tatty” land on the edge of conurbations was deemed as sacrosanct, which was wrong. Two housing associations have become the first to purchase drones – flying camera-installed devices – to try to reduce the costs of managing their homes. Halton Housing Trust and Bromford have invested in the technology and will examine the possibilities of using them over the next few weeks. 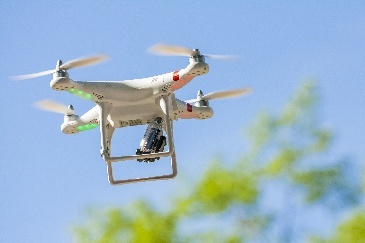 Halton believes using drones equipped with cameras to inspect roofs could reduce its bill for scaffolding costs, which last year totalled £310,000. It estimates 15% of this cost relates to routine inspections, which require staff to erect scaffolding to allow them to take photographs of roofs and gutters to check if repairs are needed. The 6,400-home association has bought a £200 drone to test its use. Mr Atkin said the quality of photographs from the high-definition camera on the drone would be good enough to allow them to investigate roof leaks. Bromford has purchased a £380 drone and is planning to test it to carry out inspections of roofs and inspections of land before development. Paul Taylor, innovation coach at Bromford, said the association might need different types of drones for different purposes and may need a license for some commercial uses.